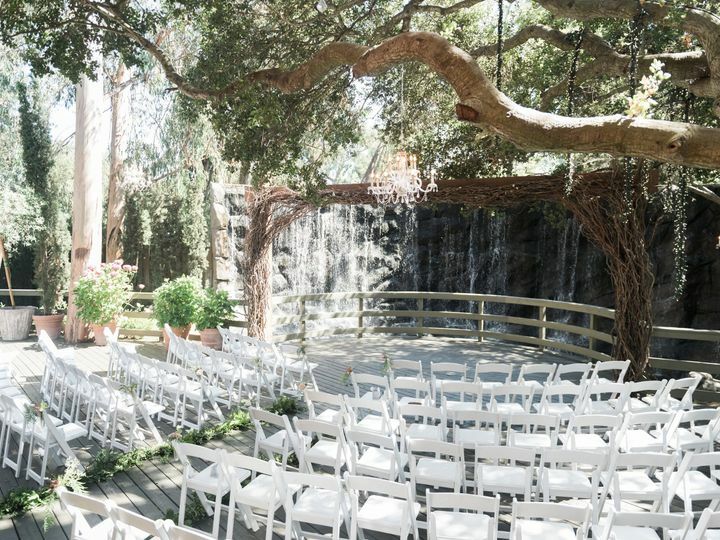 Calamigos Ranch is an expansive muntainside wedding venue in Malibu in Malibu, California. 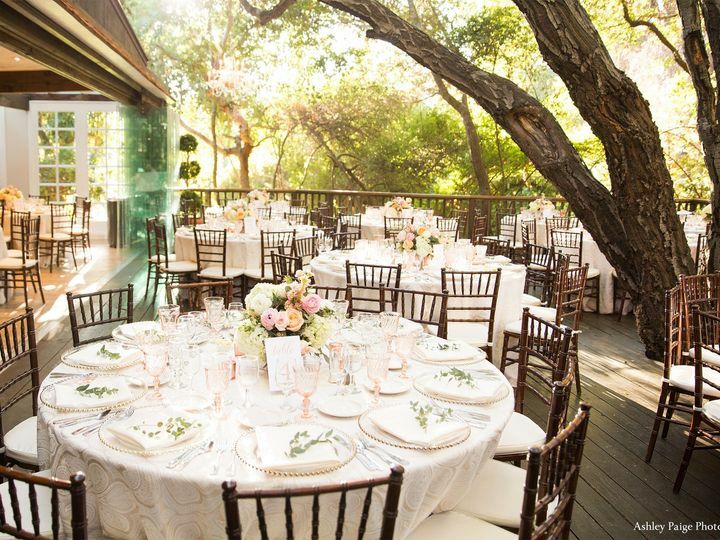 This modern nature-inspired venue offers couples a quiet retreat to celebrate the most important day of their life. 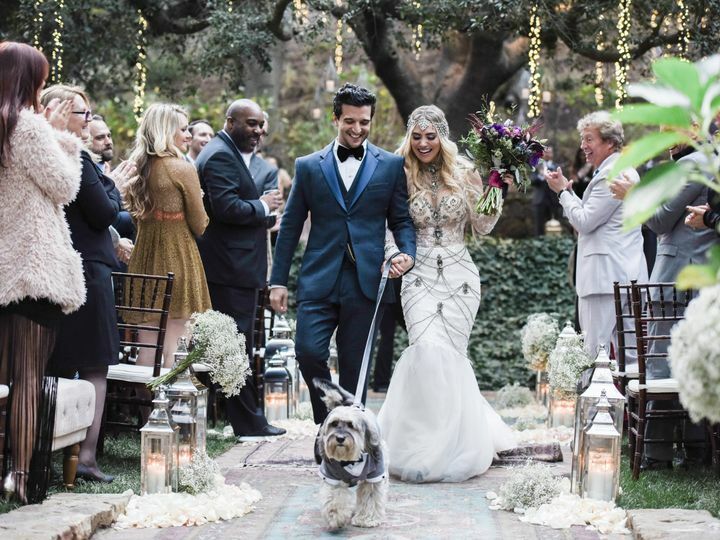 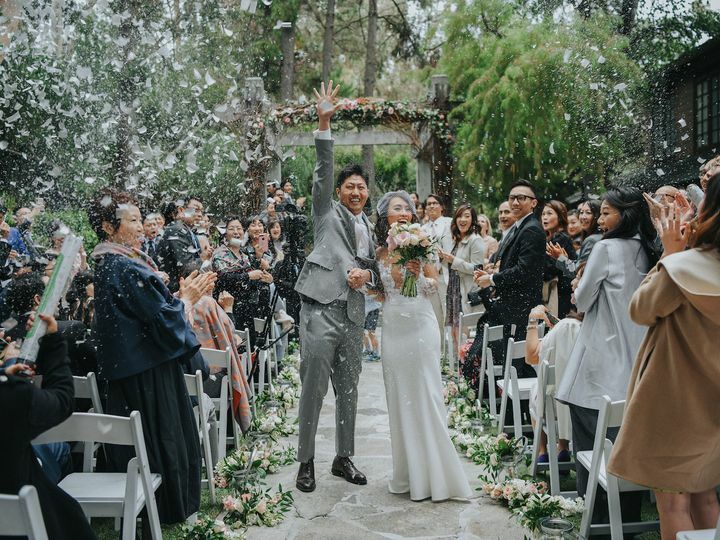 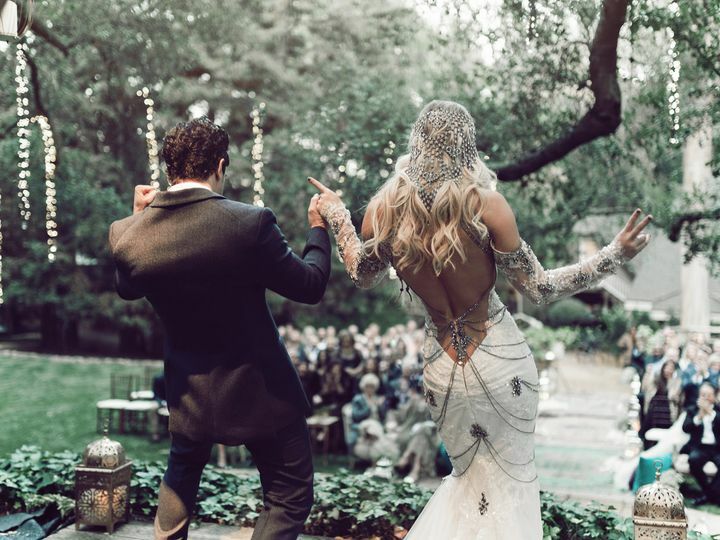 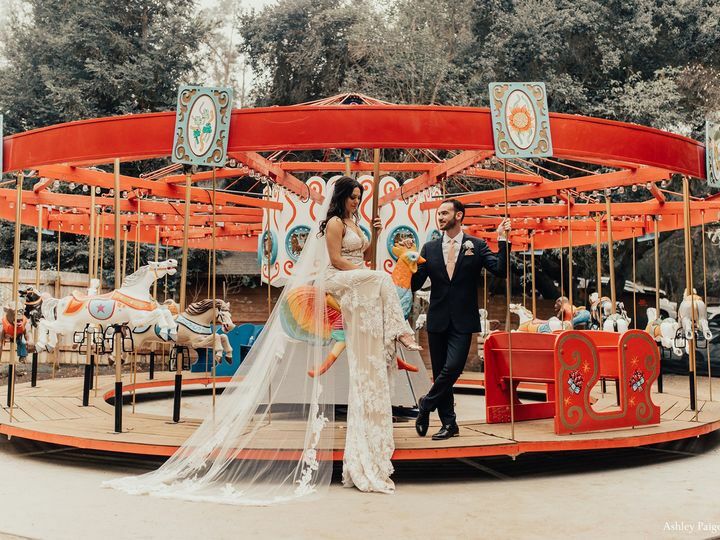 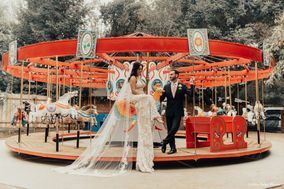 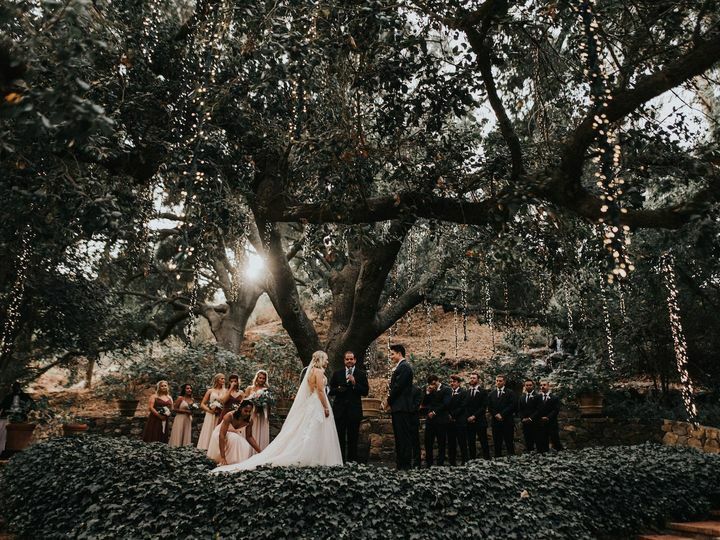 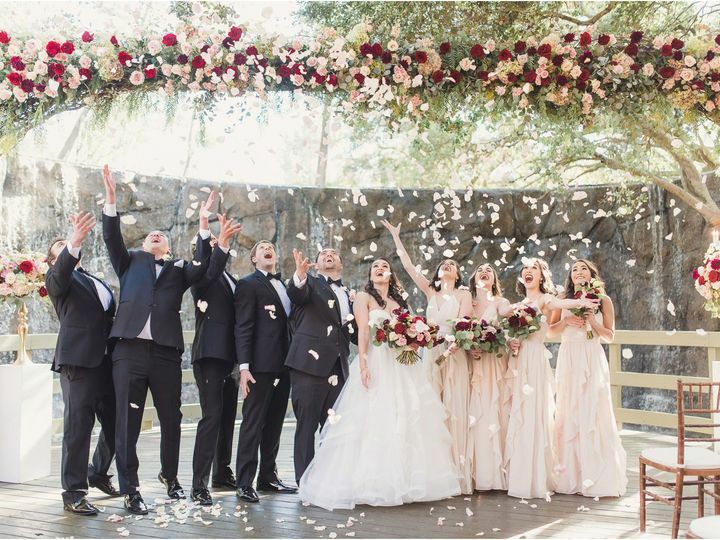 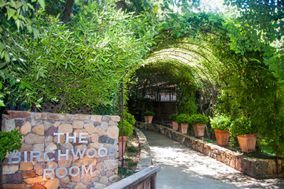 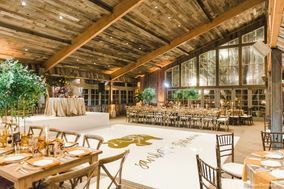 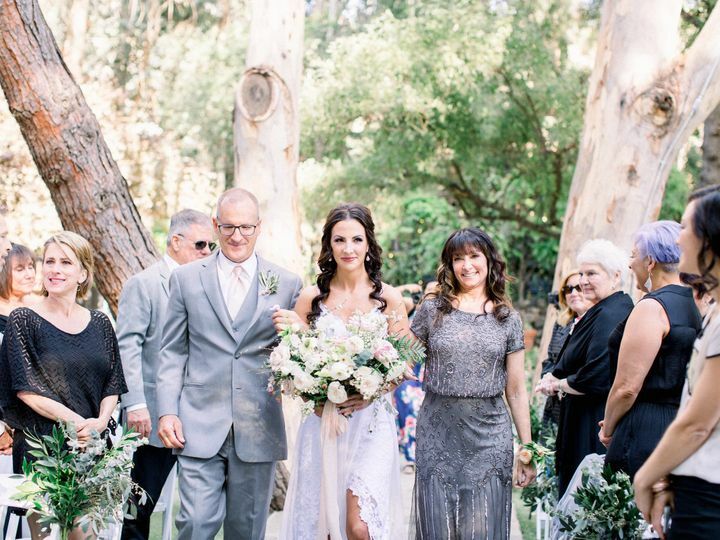 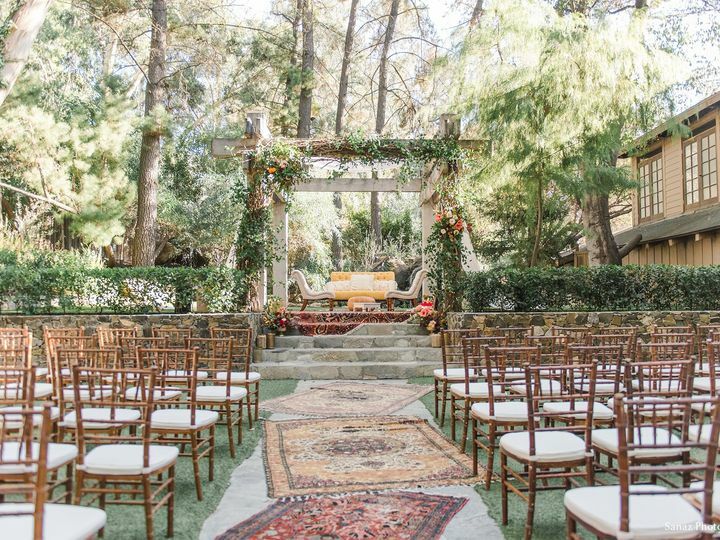 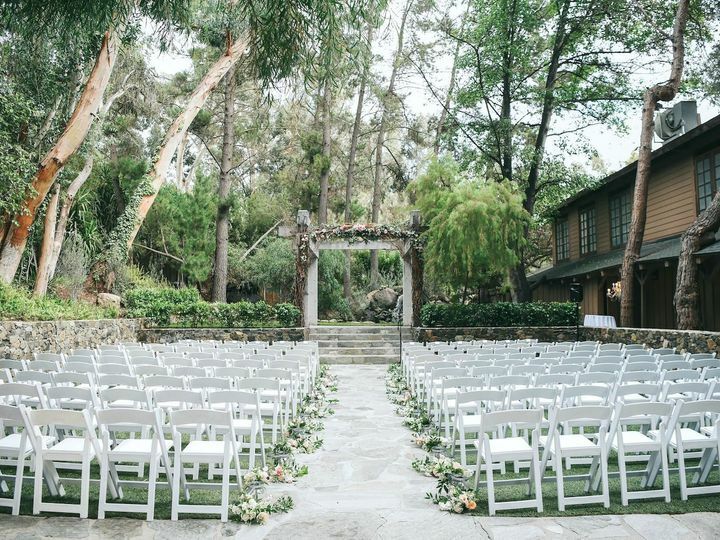 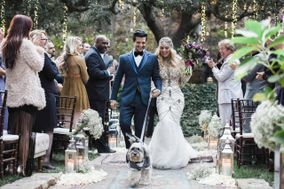 Four spacious indoor and outdoor event spaces coupled with an exceptional staff make the Calamigos Ranch a premier destination for weddings in Malibu. 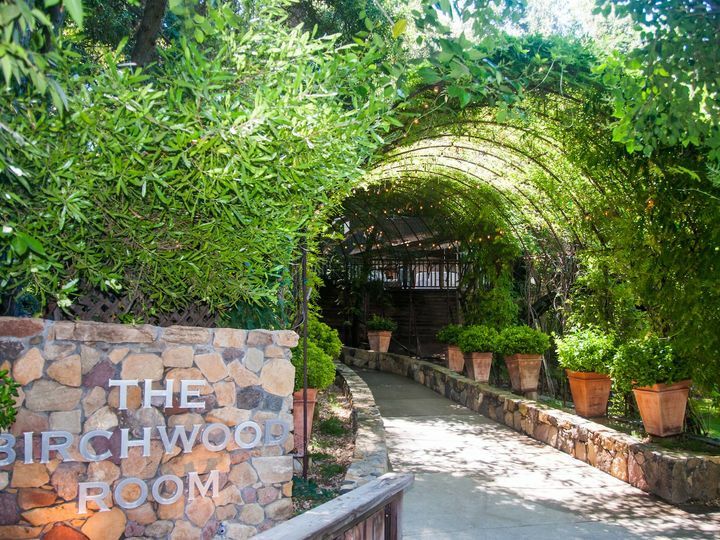 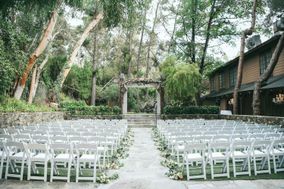 The Ranch was established long before Malibu became a popular destination wedding and vacation place. 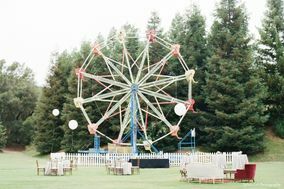 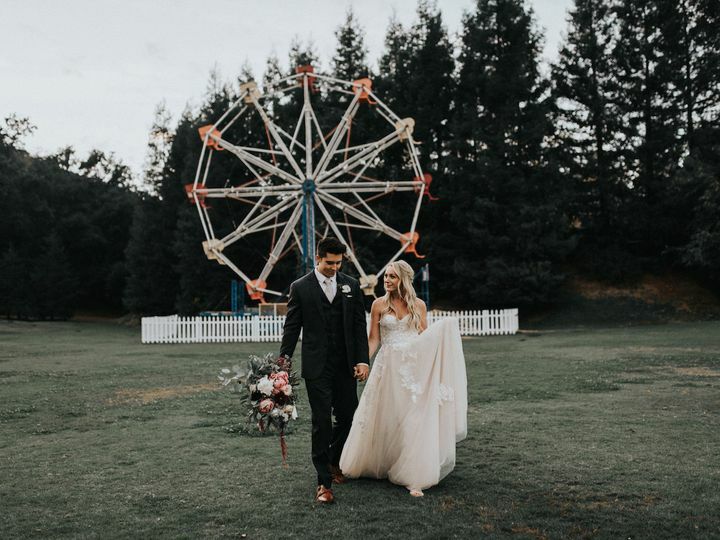 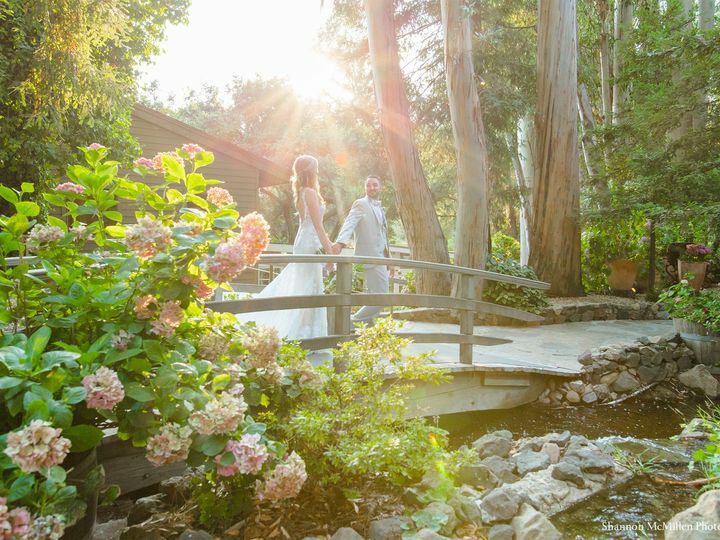 It offers the rich history and natural scenery of California in affordable packages for every wedding style. 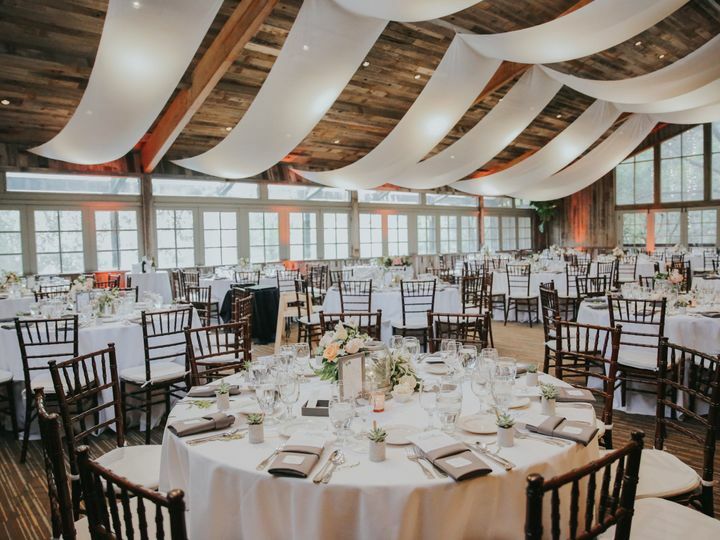 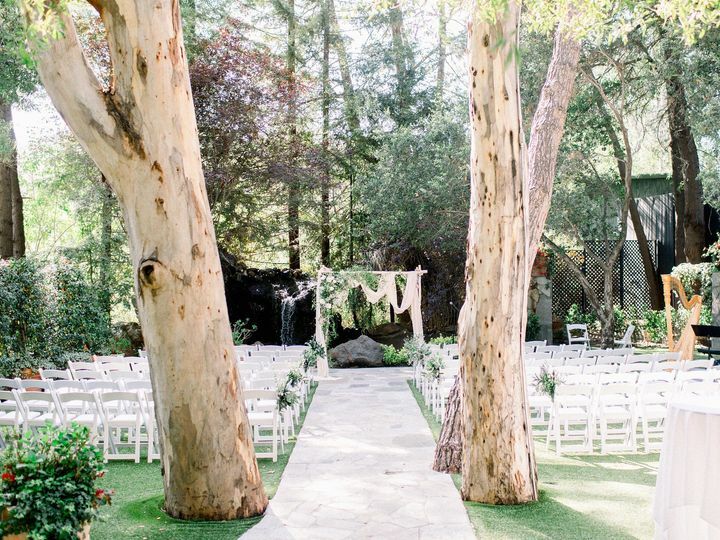 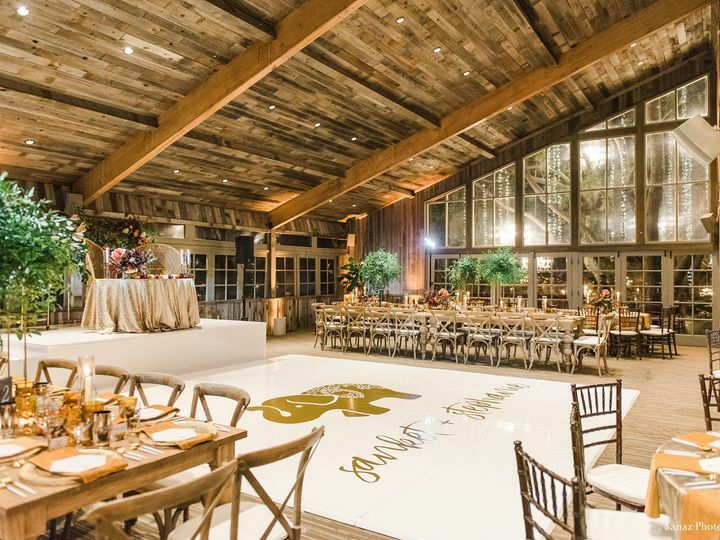 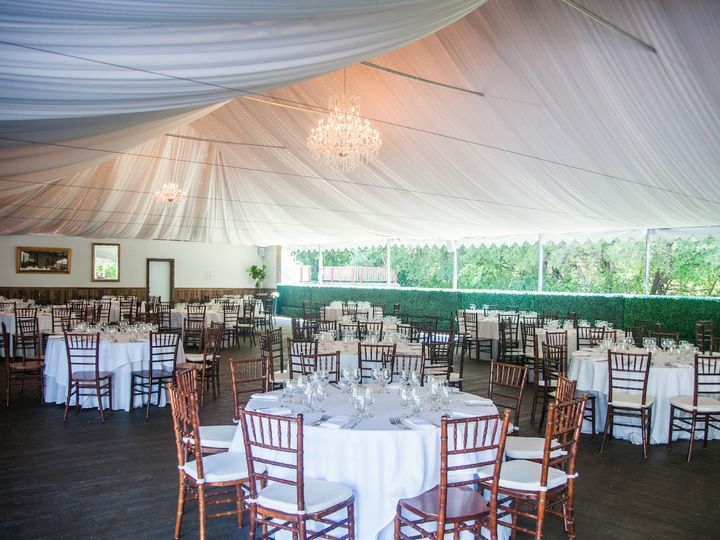 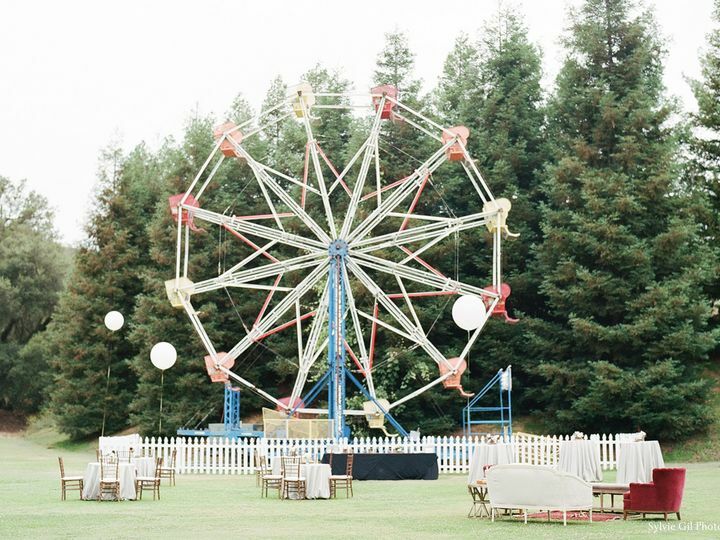 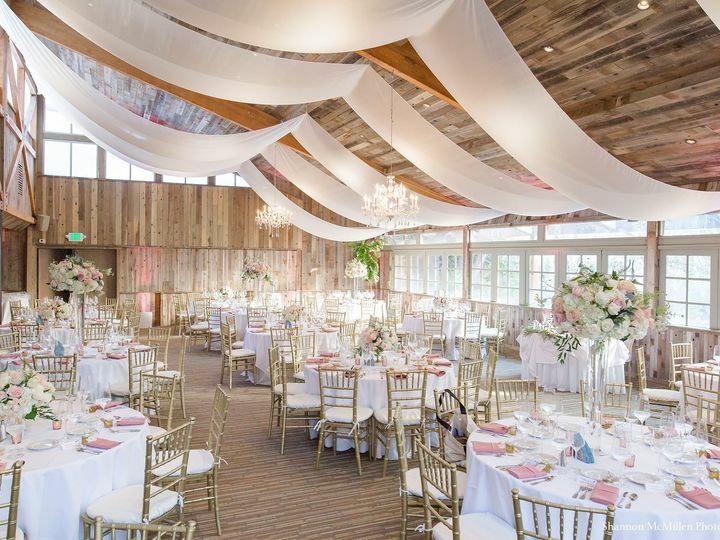 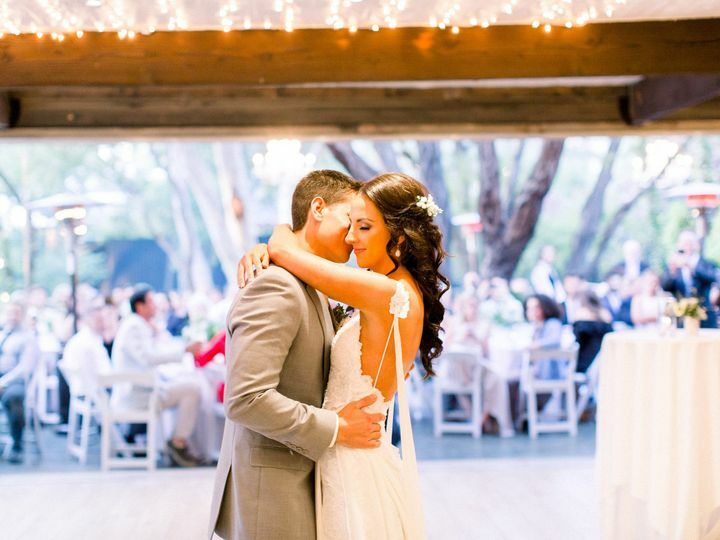 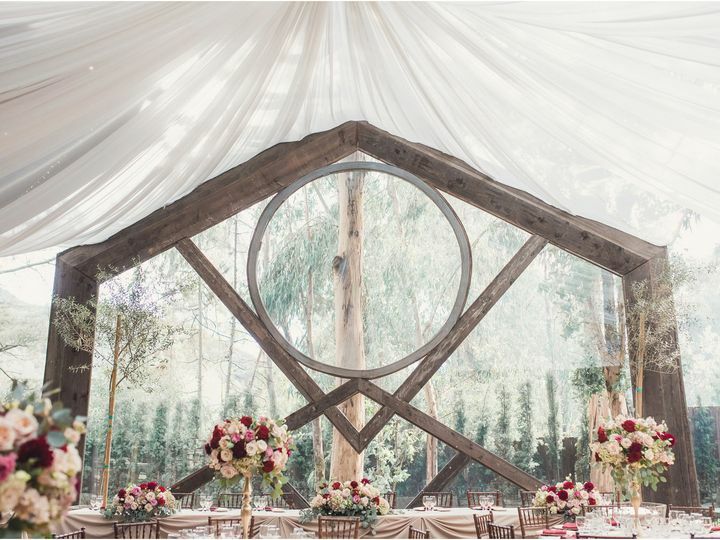 If youre looking for a modern and elegant venue space, choose none other than Calamigos Ranch. 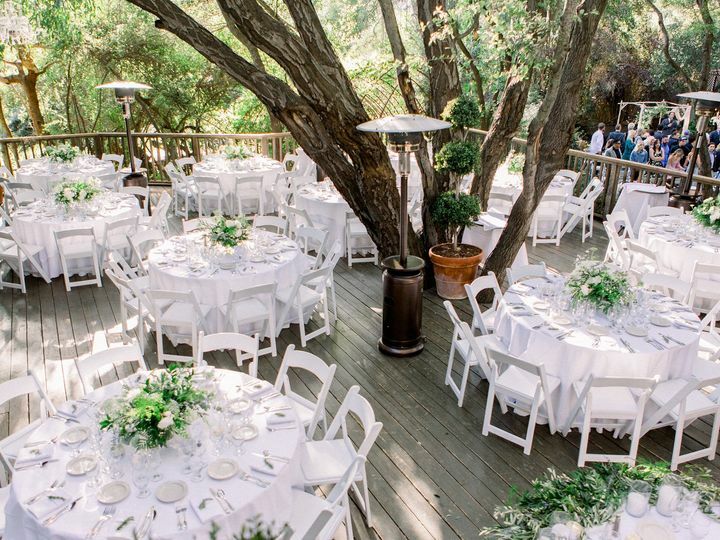 Calamigos Ranch resides at the foothills of the Santa Monica Mountains. 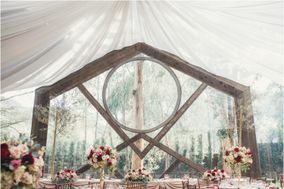 The rugged skyline helps many couples fall in love with the venue even before they see the ceremony venues. 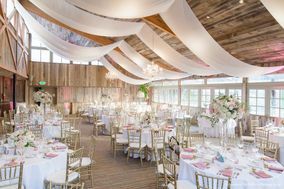 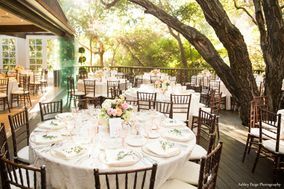 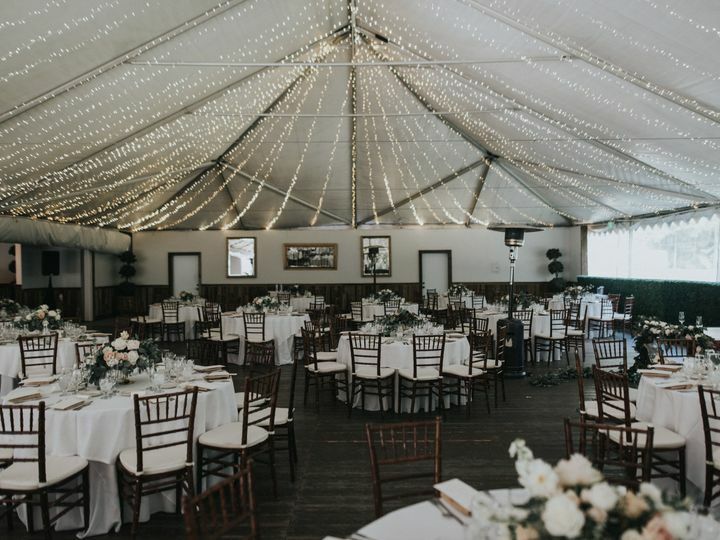 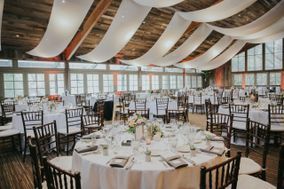 Calamigos Ranch offers four unique locations for weddings, three with indoor reception houses and one with an open air pavillion. 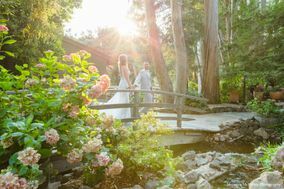 At Calamigos Ranch there is a stone terrace surrounded by waterfalls, lakeside cabins, retreats deep in the woods and over 250 acres of pure natural bliss. 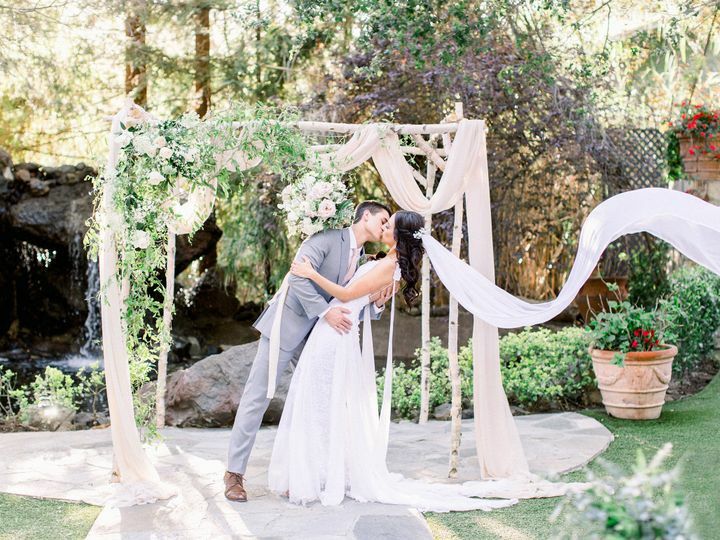 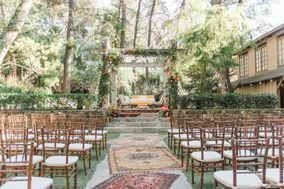 Each reception room offers an outdoor ceremony space for easy transitioning from your ceremony to cocktail hour. 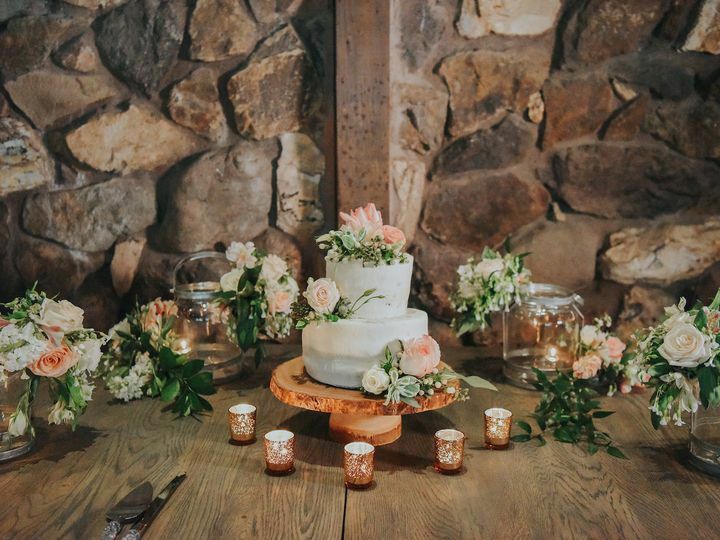 All indoor locations offer rustic decor, some with stone fireplaces while others feature French doors, iron chandeliers, or gentle cafe lighting. 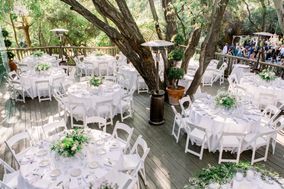 The Calamigos Ranch can accommodate up to 500 guests. 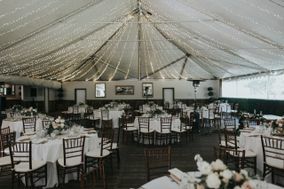 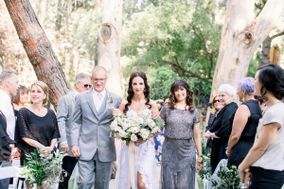 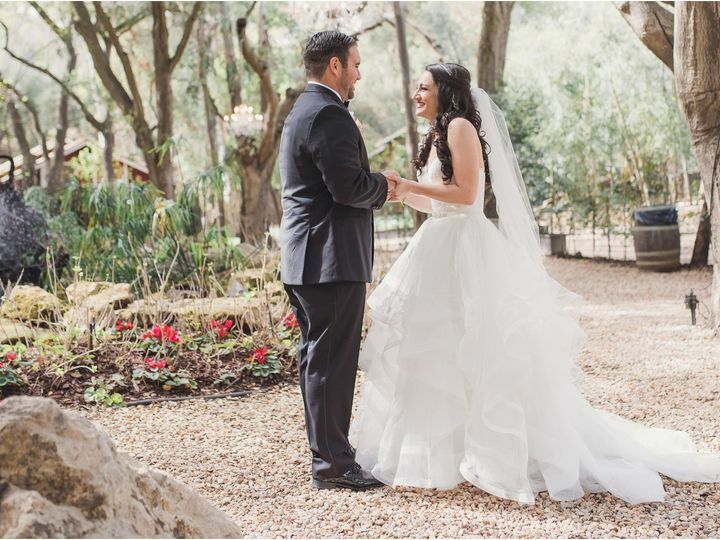 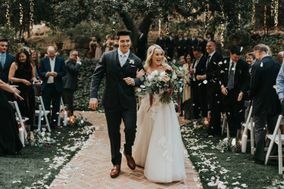 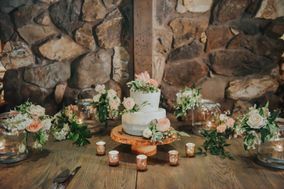 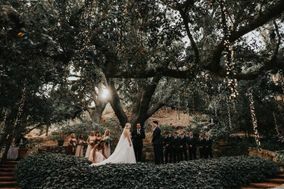 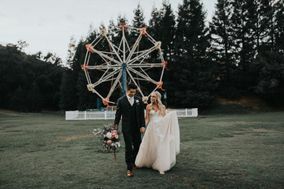 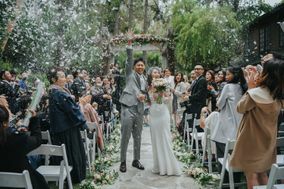 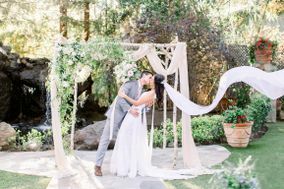 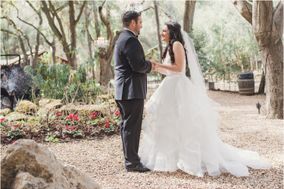 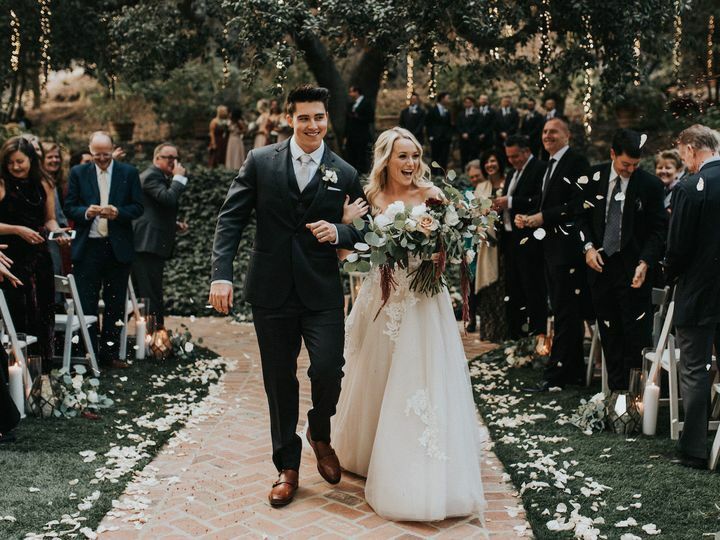 Calamigos Ranch offers everything a couple needs to create their dream wedding deep in the Snta Monica Mountain countryside. 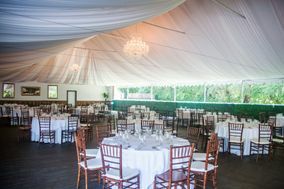 The event staff will handle all aspects of planning and organizing your big day. 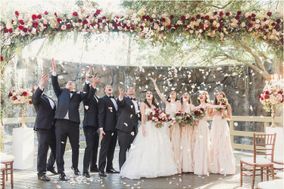 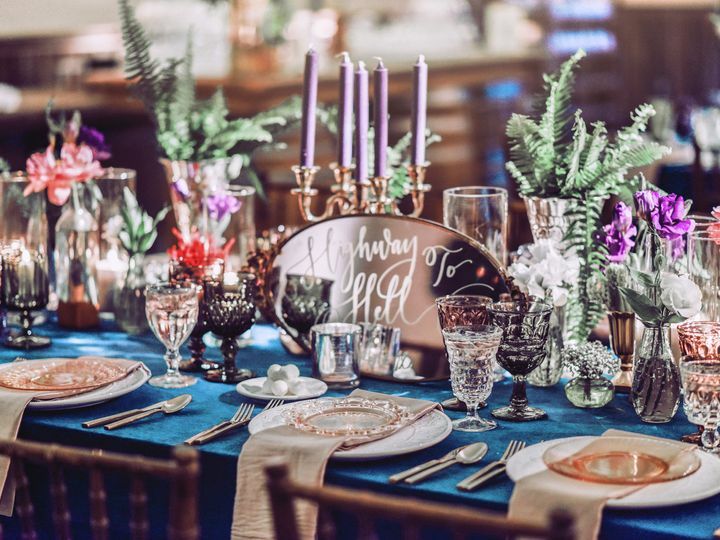 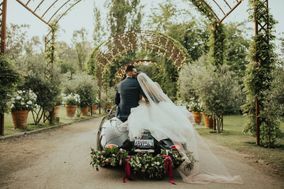 These experienced and highly professional wedding planners understand what it takes to provide a fantastic wedding experience. 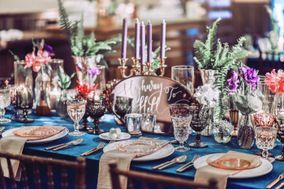 They provide tables, chairs, colored linens, glassware, silverware and chin. 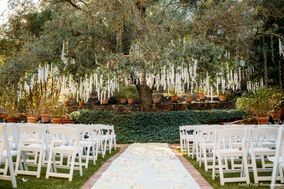 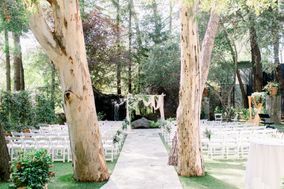 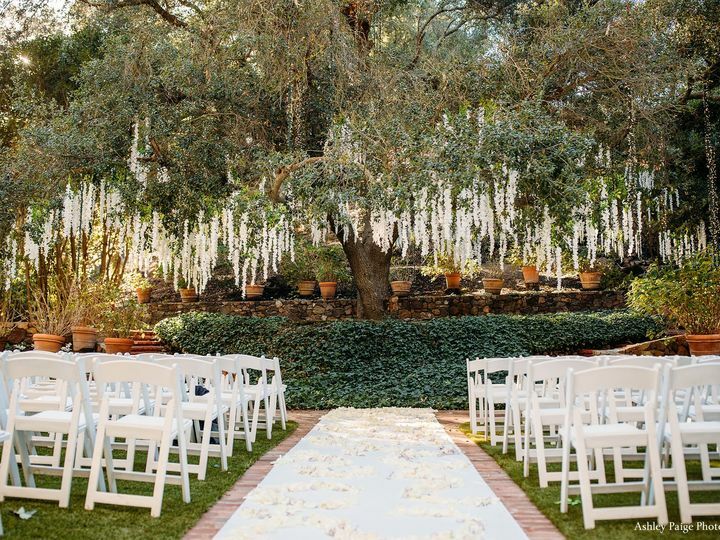 Your ceremony setup incldes an aisle runner and garden chairs, as well as nearby dressing areas for the wedding party. 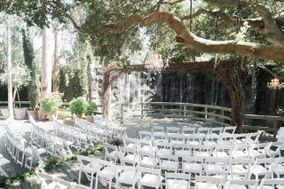 Calamigos Ranch staff will setup both your ceremony and reception sites. 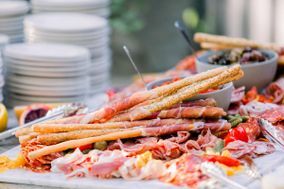 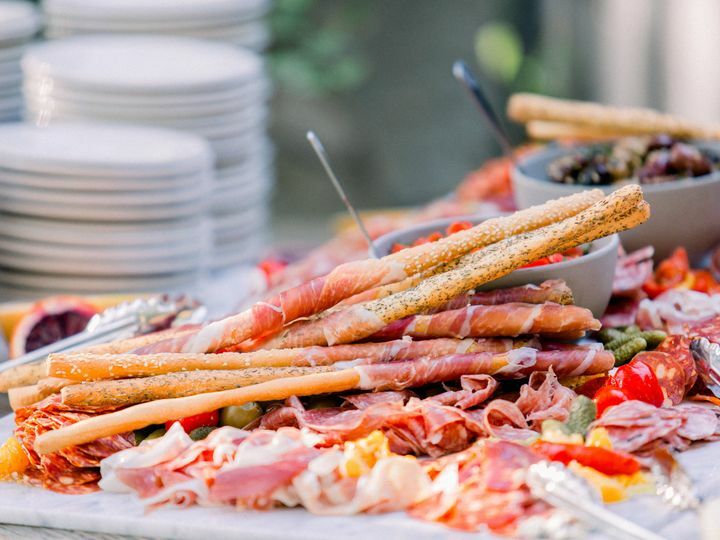 Guests will receive a plated meal, buffet stations, passed hors doeuvre service and premium open bar. 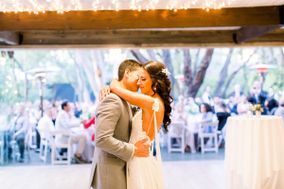 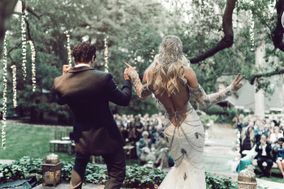 Every detail of your big day is carefully planned and coordinated for a once in a lifetime day.